UPDATE 3: As of 12:00PM, noon, on August 7th, the network maintenance in the computer labs across campus has been successfully completed. If you have have questions, please contact ITS at x-7973 or via email at its@manhattan.edu. UPDATE 2: Due to some emergency network issues, Leo Hall computer lab migration has been moved to Tuesday, August 1st. Leo 102 has been completed this morning, however the rest of the Leo Hall will be completed tomorrow. We apologize for this inconvenience. UPDATE 1: Due to some scheduling conflicts, the network maintenance for O'Malley Library will be on August 7th from 9am to 12pm instead of on August 2nd as previously scheduled. At least one computer lab will remain open at a time for student use throughout the maintenance period. 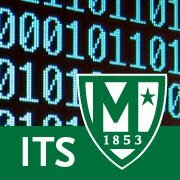 ITS will be conducting network maintenance on the computer lab networks throughout campus. This scheduled maintenance will be conducted on July 31st to August 7th and will cause some localized wired network outages on a roaming basis in the computer labs only. Note: The computer labs in RLC have already be completed and will not be affected during this maintenance period. If you need computer lab access during this time, we advise using the computer labs and printers located in RLC.